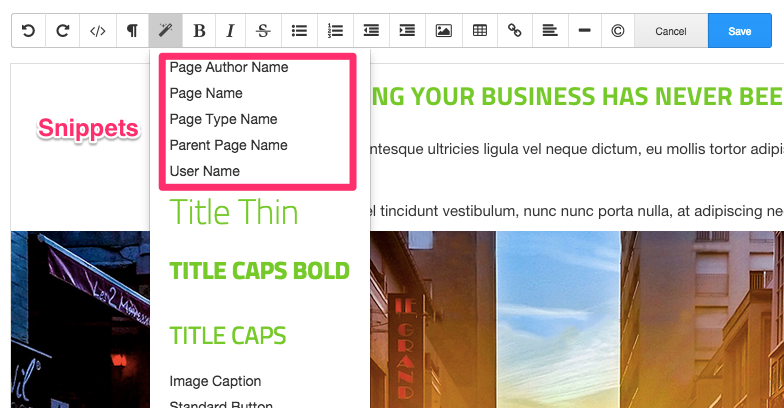 This free add-on registers some useful snippets to use with the content block editor (Redactor) in your site. Please see the screenshot for usage. If you have a request to add more snippets, feel free to add issue to my reporitory on GitHub!